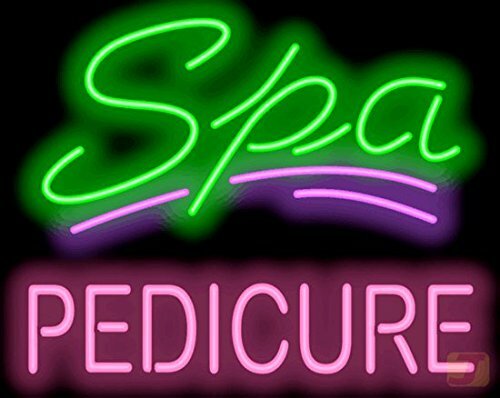 Spa with Pedicure Neon Sign - Genuine Hand Bent Neon Tubing - Green & Pink letters with Purple graphics - Sign arrives in just a few days ready to hang it up and plug it in. Brand New, Quality Neon Sign - Delivered to Your Door in a Few Days! Mounted on a Black Backing for Maximum Visibility! If you have any questions about this product by Jantec Sign Group, contact us by completing and submitting the form below. If you are looking for a specif part number, please include it with your message.